You know how you sometimes hear great things about a new author but you just don't have time to sit down and read their books? That was the case with me and Catherine Bybee's Weekday Brides series. Based on what I had heard, when I started Taken by Tuesday, I anticipated a good read. I didn't realize that Bybee would reel me in with clever dialogue and witty banter then seal the deal with edge-of-my-seat suspense, holding me in thrall until the final breath-stealing scene. 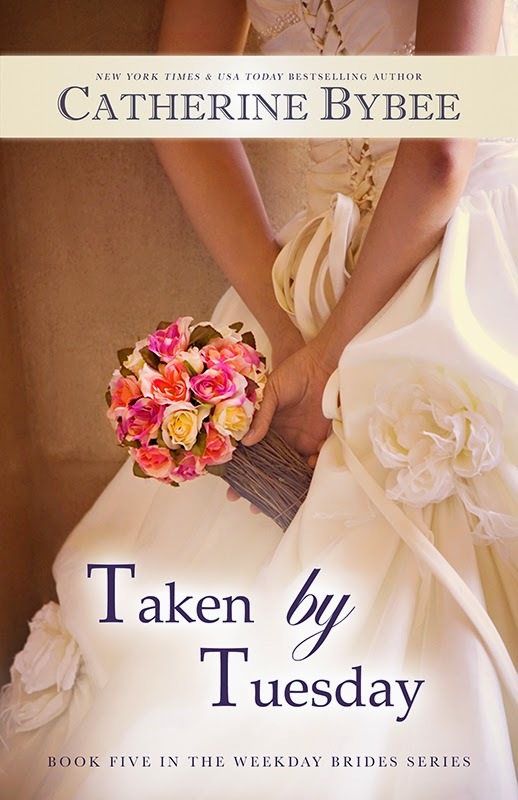 A fascinating blend of contemporary romance and romantic suspense with a bit of a chick lit flavor, Taken by Tuesday is a fast-paced story, filled with interesting, multi-dimensional characters and one very scary stalker. Rick and Judy are so realistically drawn that if I stopped by their favorite bar I'd fully expect to see them flirting across the pool table. The sexual tension between them is palpable but so is the sweetness and the tentative nature of their new-found feelings. The secondary cast of characters - primarily, Judy's family and best friend, Meg - only add flavor to this delicious story. I do hope we see more of Meg in a future book! While Taken by Tuesday stands on its own, the presence of characters from previous books and references to their stories may entice you to read this series in order. I was so intrigued by Judy's family, and entranced by Bybee's writing, that I downloaded the first four books in the Weekday Brides series the minute I finished reading Rick and Judy's story...at 2:00 am in the morning. If you haven't yet tried Bybee's Weekday Brides series, what are you waiting for? (the e-books are currently on sale!) The series books, in order, are: Wife by Wednesday, Married by Monday, Fiance by Friday, Single by Saturday and Taken by Tuesday. Do you enjoy a bit of suspense in your contemporary romances? Are you a reader who needs to read a series in order? 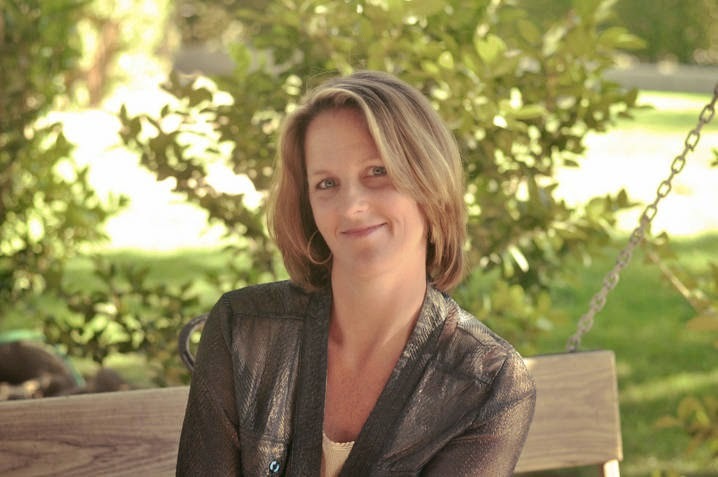 Have you read Catherine Bybee's books yet? Do you have a favorite? Is there an author you've been meaning to try? I do not mind a little bit of suspense in a romance. Saying that, I didn't like it about 15 years ago when several authors dumped contemporary romance for suspense with very little romance; Sandra Brown, Elizabeth Lowell, Catherine Coulter, Nora Roberts, Linda Howard, Sharon Sala, Fern Michaels, Joanne Ross, Lisa Jackson, Iris Johansen, Anne Stuart...to name a few. As long as the books are stand alone I do not need to read them in order. However, I don't want all the twists to be revealed in the subsequent books before I can go back and read the earlier books in the series. I have not read any of Catherine Bybee's books. I did like your review. Laurie, this one has the suspense but I'd give romance the top billing. Bybee does reference items from previous books but instead of ruining anything for me they only made me more interested in reading those stories. That's a great line-up of authors you haven't yet tried. I highly recommend them all! I hope you try mine out, Laurie. Like Laurie G., I like some suspense in a romance but nothing too traumatic or violent. I tried reading romantic suspense novels recommended on blogs and by a bookseller and I can say they are not my favorite romance type. I can be obsessive about reading a series in order, especially if I have become invested in the characters. I read Fiance by Friday and enjoyed it. Taken by Tuesday looks interesting, but I guess I'd have to go back to the beginning of the series then! An author on my TBR list is Catherine Mann, who has Shelter Me out right now. I'm a sucker for books with dogs or horses in them. Laura, Taken by Tuesday was my first Bybee book and I liked it a lot. While it no doubt would have been a more complete reading experience had I already read the previous books, I don't think it detracted that much from my enjoyment. I liked it a lot! I love this series, because the writing is so amazing and the stories each in their own way are unique even though there all connected. This is my first series by Catherine.. I just love it. You are in for some great reading PJ..
Hope you enjoy the books, jcp. I really enjoyed her writing! Thanks for the review and the spot on your blog. Happy Reading. I was a mystery and suspense reader before I was a romance reader. Combining the too is a bonus for me. I read a series in order and usually wait until all the books are out before I start.